Wow ! Natural crystal that glows in the dark !! 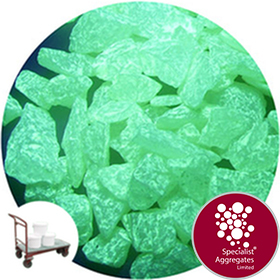 Formulated and manufactured by Specialist Aggregates in the UK using safe "glo" pigments. Suitable for event decoration, safety delineation, and interior decoration. 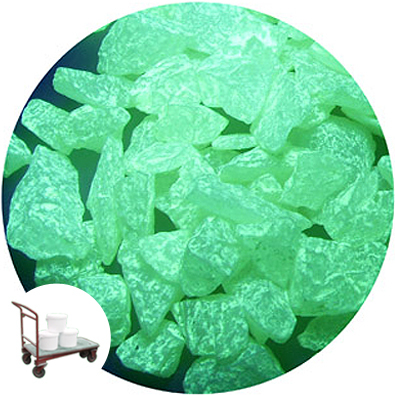 The product is activated by strong light in the same way as safety signs, once that light is removed the product will glo a green-white light. The glo is best observed in situations where light can be switched on and off - its performance in external situations where light slowly fades can be less marked. This product is waterproof, however, responsibility to establish for suitability in aquaria rests with the purchaser. Safety Information : Not suitable for children under 36 months without appropriate adult suprvision. 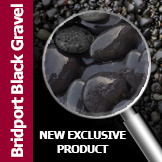 Alternative; Product manufactured by Specialist Aggregates in the UK, for other grain sizes please enquire. 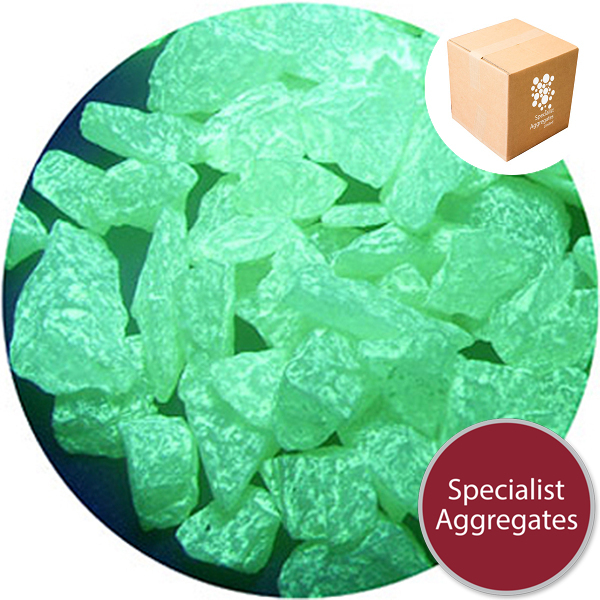 Specify: Glo in the dark natural crystal aggregate from Specialist Aggregates. Product Code: 7290 Orders placed for personal collection: You will be advised your collection reference by e-mail. For personal collection orders placed by telephone (01 889 580660) our staff will be able to provide an immediate collection reference.